PicGIF for Mac Giveaway – 5 Lucky Winners! Want to make an animated Avatar? Want to impress your blog visits? Try to make a fun and attractive GIF to make it. PicGIF for Mac sponsored by PearlMountain Technology is a fun and easy-to-use app for making awesome animated GIFs from your life photos and videos. Here are 5 lucky winners. Hurry up to take the chance! What Is PicGIF for Mac? 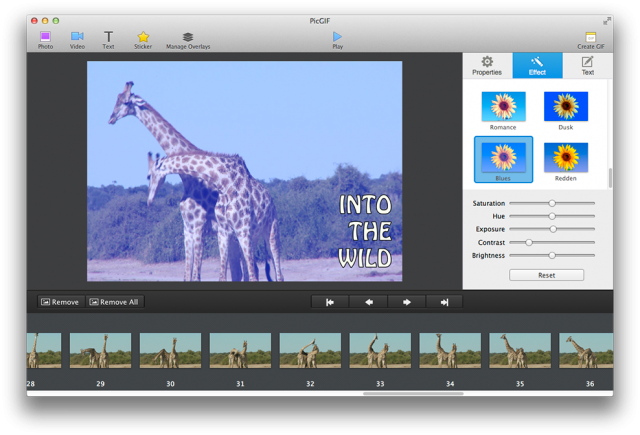 PicGIF for Mac is the most agile app for creating animated GIFs from videos and your life photos. Given the powerful features and intuitive interface, users of none experience in photography can create wonderful GIFs in just a few mouse clicks with incredible ease. • Support import image formats: JPEG, TIFF, BMP, PNG, TGA, RAW, PIC, etc. 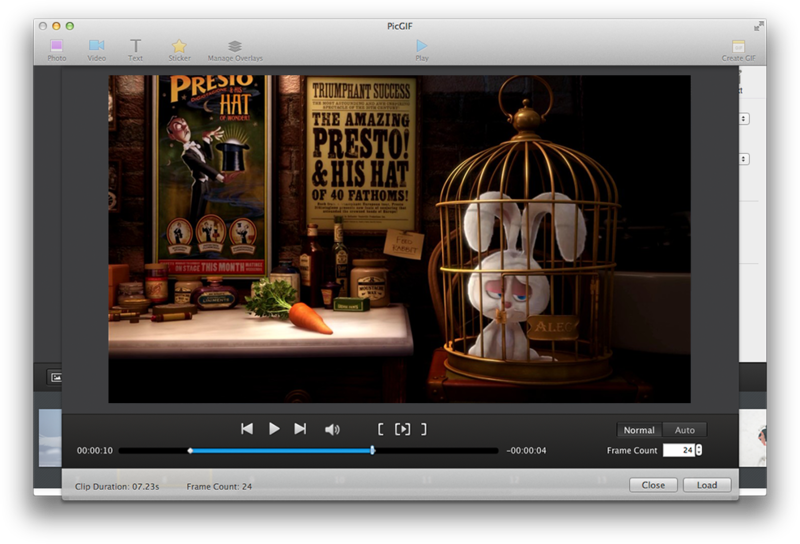 • Support all common video formats, MOV, MPEG, MP4, M4V, 3GP, AVI and more. • Free to combine multiple image formats, video formats, GIFs. • Free to trim any part from a video clip. • Manage overlays of text captions and stickers. • Set start frame & end frame for overlays to define the specific display range. • Lots of fine-tune features: size, frame delay, sequence, effects, etc. • Manipulation of colors for more lively photos! • Opt to optimize the output quality helps you improve the overall impression. • PicGIF gives users several ways to export the final GIFs. It would be much flexible for users to save the GIF directly in Finder, share via Tumblr, E-Mail. For these who use Mac OS X 10.8 or above, they can share the GIF through iMessage. • Support German, French, Japanese, Simplified & Traditional Chinese. 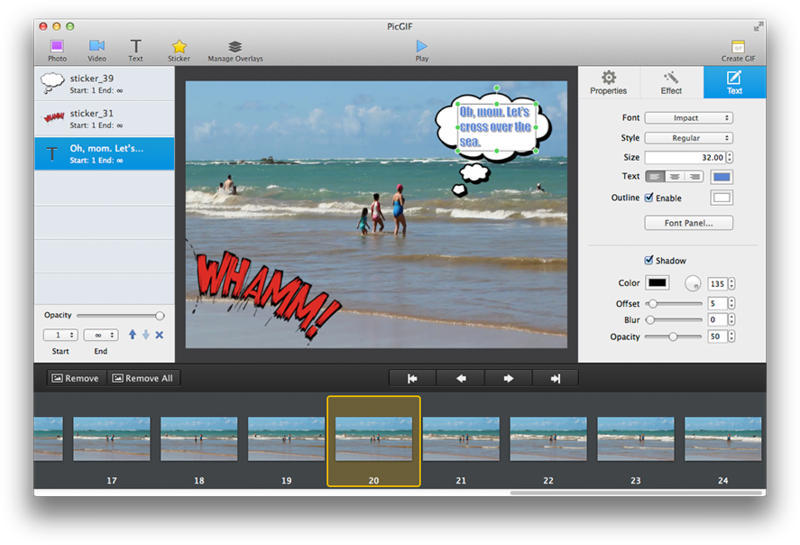 How to the copy of Get PicGIF for Mac? Anyone interested in PicGIF for Mac can just take a few seconds to leave a comment bellow to win one copy of PicGIF for Mac. 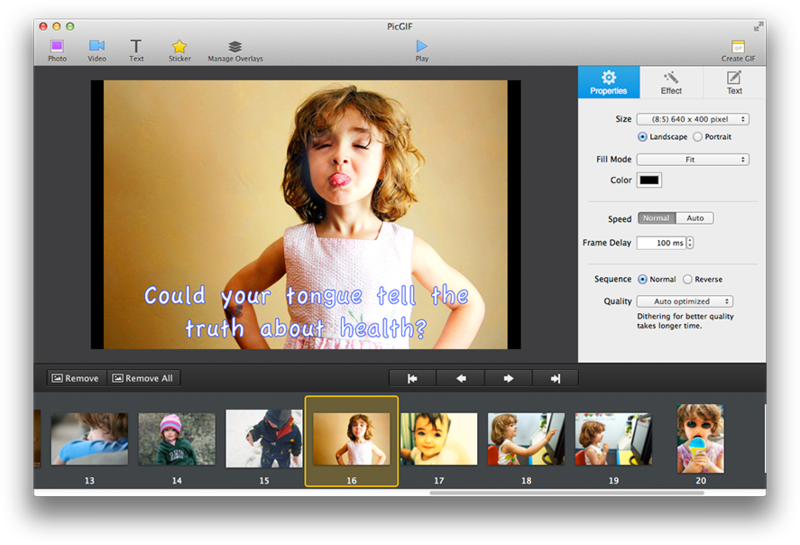 PicGIF for Mac is specially designed to give you a fun way to play with your videos and photos. It aims to provide you an amazing way you are always looking for to impress your family and friends easily with vivid life photos. What are you waiting for? Don’t you like to have a try? Just come on and get one to make your photos animated right now!